Our client, a large purveyor of services to the steel manufacturing industry, has a large workforce throughout the Midwest. From replacing furnaces to shoveling snow, they have various plants helping their clients with a range of tasks, many in dangerous environments. 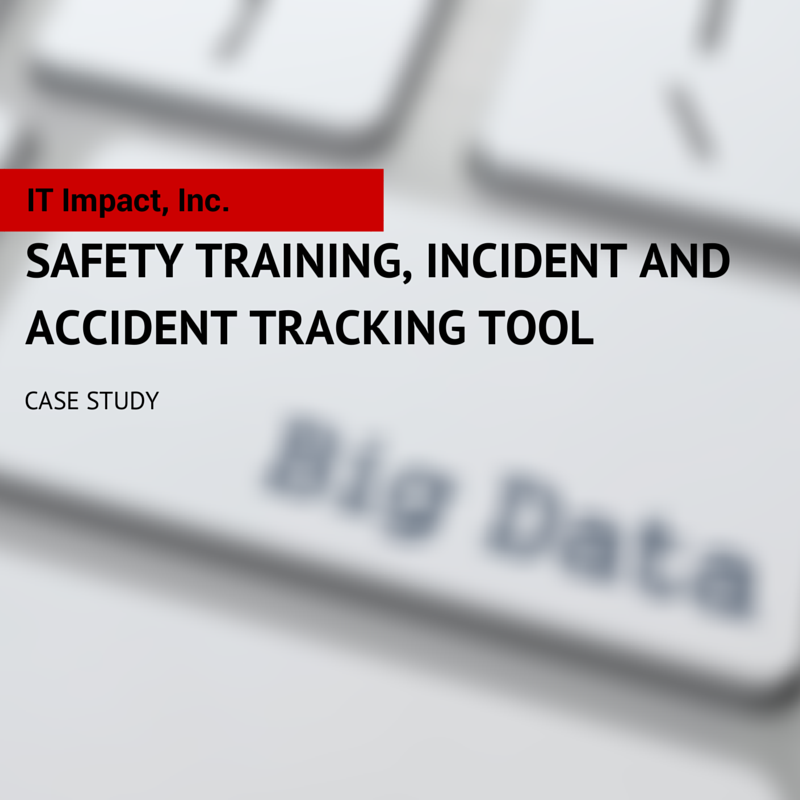 We created a STAT tool, a custom cloud solution and database, which keeps track of all daily safety training, incident and accident tracking coupled with a great reporting tool. Our client had an old MS Access database that was not cloud enabled and did not allow for uploading documents nor did it have a report generator. They needed a modern solution that could address all these issues as well as an easy to use interface for all of their employees in multiple locations. Using Access and SQL Server Azure, IT Impact was able to design a custom SQL Server database along with Microsoft Access to keep track of a wide range of safety activities such as: training, incidents, accidents, alerts and procedure documentation in a single tool. The system allows authorized users to enter training assignments and add attendees as well as upload sign in sheets as proof of attendance. Typical topics are Safety Glasses Usage, Wearing Appropriate Clothing, etc. Some employees receive certified training, such as welding or forklift driving. The system keeps track of their certification expiration dates and allows managers to easily schedule refresher courses. Managers can upload documents to the cloud detailing safety procedures on a wide range of subjects. Users can then download and print them for reference or training sessions. Managers use this tool to enter all details regarding this event, which are then logged for follow-ups and reporting purposes. Using SQL Server, cloud technology and our expertise in this area, the entire system can be accessed from multiple locations and various users at once which allows the management team to visualize safety performance of the company at a glance. Using MS Access, SQL Server, and Windows Azure, we developed a cloud enabled solution the whole firm can use to enforce a safety conscious environment in the workplace. Our client can now effectively and efficiently manage their business at multiple locations from one central system.